A green tea mask can help keep your skin heathy and more youthful-looking, based on research on green tea extracts and skin. Of all green teas, the Japanese green tea powder, or Matcha tea, is said to provide incredible benefits as a skin treatment. It contains more of the beneficial whole-leaf antioxidants, proteins, and amino acids of the Camellia senensis plant compared to other teas or to green tea extracts in skincare products. An increasing number of topical skin products contain green tea extracts as an anti-aging and healing cosmeceutical. A protein powder mask that includes green tea is loaded with nutrients and can benefit all skin types, but will be most helpful for people with aging skin and skin conditions such as acne, psoriasis, and rosacea. Matcha green tea protein powder contains protein, amino acids, vitamins, minerals, and polyphenol catechin antioxidants, according to the nutrients list of a representative green tea powder, Aiya Matcha Ceremonial Green Tea. Unlike regular green tea, a mask made from Matcha green tea powder brings full repair and anti-aging benefits of all the nutrients directly to your skin. 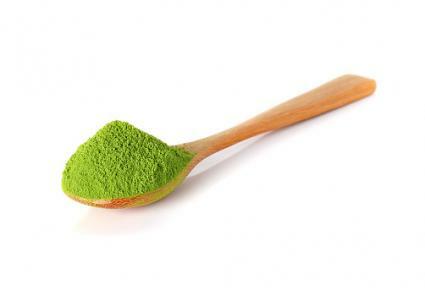 Matcha green tea protein powder has more nutrients than regular green tea, including protein and antioxidants. 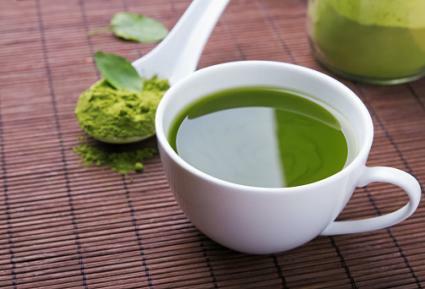 According to a study published in the Journal of Chromatography in 2003, there is 137 times more epigallocatechin gallate (EGCG), a main catechin antioxidant, in Matcha green tea powder than there is in China Green Tips green tea, and at least three times more than in other brands of other green teas tested. Antioxidants in green tea fight free radicals in the skin's cells and other body tissues, which are thought to contribute to cell aging and death as well as reduced cell renewal. Green tea antioxidants are more powerful than the antioxidants vitamins C and E, according to a Harvard Medical School review on the benefits of drinking green tea. The tea leaves used to make Japanese Matcha green tea powder are shaded from the sun near the end of the growing season to maximize their chlorophyll, antioxidant, amino acid, protein, and other nutrient content. The young, handpicked, unfermented leaves are stone-ground to a fine tea powder. In contrast to regular green tea where you discard the leaves, with Matcha green tea, you drink the powdered leaves in your tea. You get the benefits of this same enriched green goodness when you apply a green tea protein powder mask to your skin. A green tea mask is easy to make and apply. To vary the basic mask recipe, you can add other ingredients that also have beneficial effects on skin. However, don't mix green tea powder with milk because the milk protein casein binds the catechins and decreases their effectiveness. Apply this basic Matcha mask at least once a week for great benefits for your skin. You can apply the paste to your face, hands, or any part of your body that has a skin condition. Put the green tea powder in a small clean glass or plastic container. Use a small, clean wooden spoon, chopstick, or plastic spatula to stir the tea powder to prepare for mixing. Slowly add the water to the powder bit by bit and mix well after each addition. Add just enough water to create a smooth (but not runny) paste. Evenly apply the paste to your face and neck with either a medium-sized cosmetics brush or your fingers and avoid your eye areas. Leave the mask on for 20 to 30 minutes, or longer if you have time, to allow the antioxidants and other nutrients to penetrate your skin. Dip a clean washcloth in warm water and cover your face with it to moisten the now dried mask. Gently scrub the mask as you clean it off with the washcloth to help exfoliate dead skin cells. Wash off the mask with warm water followed by splashes of cool or cold water. Pat your face dry and apply a green tea moisturizer or your favorite moisturizer. If a teaspoon of powder is not enough to cover your skin, you can increase the recipe to two teaspoons powder plus one teaspoon of water. If you want to use the mask two or three times a week, double or triple the recipe and put the paste in an opaque container you can close with a lid. Tightly close the jar so that the paste does not oxidize and deteriorate the catechins. You can refrigerate your paste for up to a week. A teaspoon of soy milk: Soy contains antioxidants, isoflavones, and other substances that improve hyperpigmentation and other skin problems, according to the 2009 Journal of Clinical and Aesthetic Dermatology, as referenced above in the section, "Green Tea and Skin." The white of one egg: The albumin of egg white is a great source of protein, which can help to renew and tighten your skin. A teaspoon of aloe vera gel: Aloe vera contains aloesin, which can decrease hyperpigmentation and lighten your skin. It's also loaded with amino acids, which have multiple benefits for skin. A teaspoon of lemon juice: Lemon juice is high in the antioxidant Vitamin C, which has many benefits for skin, including skin lightening and renewal. A teaspoon of honey: If your skin is dry, the honey will make a smoother paste and prevent excessive dryness. If you need to, you can add a little water or a bit more tea powder to each variation to ensure that you get a smooth paste of the right consistency. Continue with the instructions for the basic mask to apply, let sit, and wash off. 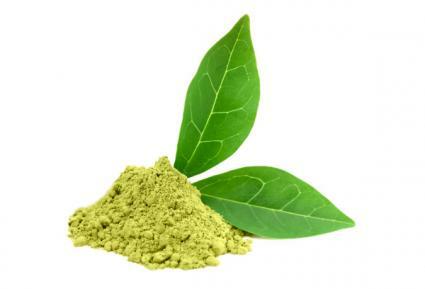 These green tea powders are given high ratings for quality and taste by reviewers online. Aiya Ceremonial Matcha green tea retails for around $25 for a 30 gram tin on the Aiya company's website and makes 15 cups of tea. Organic Premium Matcha sells online for around $25 for 30 grams of tea (30 servings) by the Full Leaf Tea Company. Teavana Matcha Japanese Green Tea is sold on the Teavana website for $45 for an 80 gram jar, which serves 40 to 45 cups. Green Foods Organic Matcha Green Tea goes for about $16 to $20 for a 5 oz jar online at Vitamin World and makes 31 cups of tea. Try a green tea protein powder mask for the benefits of the tea's antioxidants, proteins, amino acids, and other nutrients to your skin. The natural source of ingredients helps you avoid the synthetic additives and preservatives in commercial skincare products.